The Garden Plot: Turn your Frontyard into a Visual Treat! Turn your Frontyard into a Visual Treat! Have many of you grown tired of the weekend ritual of cutting grass and spraying/spreading weed control on your lawns? Well- there's a growing movement toward less lawn, more plants. Here's a design from last year's Landscape Designer of the Year- Margie Grace (APLD)- that really speaks to me. 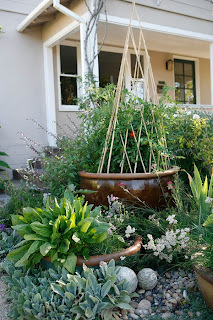 Veggies are dangling in a containers and mixing it up with natives and easy plants. 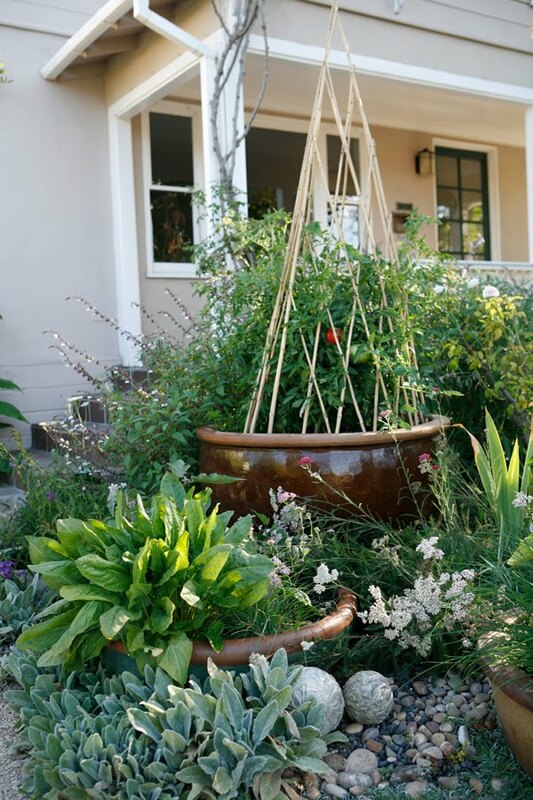 These plants attract, shelter, and feed wildlife as they provide visual interest and soothe the soul. Ahh... now this is truly pretty as a picture!